In this tip, Lisa Phifer describes location-based services, emerging LBS applications and discusses ways in which your mobile workforce can benefit from LBS applications today. system (GPS) support and technical challenges. However, E911 legislation and related mobile handset upgrades are now dismantling these roadblocks. Today, a growing number of 3G phones and PDAs incorporate GPS chips that can be used to determine and map geographic location. As a result, wireless carriers are finally getting serious about LBS mobile applications for individuals and businesses. According to ABI Research, LBS on GPS-capable mobile devices will reach 315 million subscribers by 2011. To put this into context, more than 9% of the world's cellular subscribers will start using LBS within the next five years. What will spur all of this demand? Instead of lugging a GPS brick or installing a pricey in-dash receiver, many subscribers will start using the GPS chip that's in a 3G mobile phone or PDA they already carry. Service providers will leverage those embedded GPS chips to launch a wide variety of location-aware mobile applications. From mobile maps to field and fleet management, LBS services will be delivered through ordinary mobile handsets without the hassle and expense of specialized GPS devices. On the other hand, carriers hope that LBS will help motivate users to upgrade to 3G handsets and data plans. Mobile phone-based LBS services were initially offered in the Asia-Pacific market, tracking the early 3G handset deployment in that region. This year, several North American carriers with CDMA 3G networks launched LBS services, including Verizon and Sprint/Nextel. UMTS carriers such as Cingular and T-Mobile have now followed suit. New mobile devices that incorporate built-in GPS chips -- the Motorola KRZR K1m and RAZR V3m, for example, or the BlackBerry 7130e and 8703e, and the HP iPAQ 6920 and 6925 -- are natural targets for these new LBS applications. Many popular smartphones that lack GPS, such as the Palm Treo 650/700w and the Nokia E62, can still tap into LBS applications by using an external Bluetooth GPS fob. One good example of an LBS application is VZ Navigator, offered by Verizon Wireless. This subscription-based service uses LBS technology developed by Networks in Motion to provide Verizon Wireless customers with directions, maps and local search functions on any supported handset. Simply download VZ Navigator client software to your phone or PDA, enable that handset's GPS position location function, and start mapping. New users can trial VZ Navigator free of charge. Once that trial ends, subscribers must choose a payment option ($2.99 per day or $9.99 per month) to continue using the service. I have used VZ Navigator for about two months, in both familiar and unknown territory. The colorful "follow me" maps are surprisingly legible, especially given the limited real estate afforded by my Motorola RAZR. More importantly, I found the voice navigation prompts to be clearer, faster and ultimately more helpful than many $1,000 handheld and in-dash GPS units I have used. The only feature to come up short by comparison is VZ Navigator's "points of interest" database, which I found a tad under-populated. A conventional GPS unit is self-contained and relies on local CPU and storage for maps and calculations. Those who travel to distant regions may even be required to load additional maps before they leave home. In contrast, VZ Navigator is a client/server mobile application. Only the user interface resides on your phone; all the smarts live somewhere on Verizon's network. This architecture makes VZ Navigator fast -- whenever I veered off-course, the service supplied new directions and maps very quickly. The downside? VZ Navigator works only within the Verizon Wireless National Enhanced Services Coverage Area. Stray into a dead spot and your handset can't generate new directions -- although previously displayed maps do remain visible. In addition to GPS and wireless, VZ Navigator takes advantage of the color displays, audio capabilities, and longer-life batteries found in newer 3G handsets. The ability to tap server-side resources lets VZ Navigator cram in nice-to-have features, such as generating pedestrian directions for those who navigate unfamiliar cities on foot. From an IT perspective, an LBS service like this one avoids the need to invest in dedicated GPS units or install periodic database updates. Instead, an LBS service can be paid for as needed or over time. In this example, it would take at least two years for a VZ Navigator subscriber to spend as much as it would cost to purchase even the least expensive GPS units. VZ Navigator is simply one easily understood example of an LBS application. The same mobile handsets and network infrastructure can be used to support a wide variety of location-aware consumer and business mobile applications. Individual consumers will find that wireless carriers offer a number of LBS applications. For example, Verizon Wireless' Chaperone lets parents use their own mobile phone to determine the geographic location of their child's mobile phone, accurate to within 50 to 150 meters. For privacy, phones can be tracked only when their position location function is enabled, and then only by authorized parties (e.g., the account owner and E911 emergency care providers). Similar "personal finder" applications are available from Sprint/Nextel (MapQuest FindMe), Telus (KidFind), and Disney Mobile (Family Locator). Helio's Buddy Beacon and Cingular's StreetHive use the same underlying technology to allow friends to locate one another, with positions plotted on street maps. Business opportunities for LBS applications are even more plentiful and diverse. For example, Sprint/Nextel GPS applications range from handset-based navigation applications (based on TeleNav and Garmin technology) to PrecisionLocator, an application that plots mobile worker locations on an interactive map and provides related management tools. Verizon's Field Force Manager application can track the location of mobile workers, supplying them with text, audio and visual directions, and new/revised work orders, generated by a central dispatcher. Beyond these handset-based applications, there are numerous LBS applications that use installed GPS devices and/or network-based locationing techniques like cell ID, time difference of arrival, and link triangulation. For example, fleet management services have long employed such techniques to track vehicle location, speed, direction, and stop/start times to support alerting, reporting, routing, and many other business tasks. Wireless carriers partner with LBS technology providers to offer these and other location-aware services. For example, Networks in Motion sells AtlasBook, a phone-based personal navigator (used by Verizon and several other carriers), and AtlasTrack and AtlasLink, components of a phone-based mobile workforce management solution. Wave Market developed such products as Navi.Me, an interactive maps program for mobile handsets, and ResourceFinder, a mobile asset tracking solution used by BellCanada and Sprint/Nextel. TeleNav's GPS Navigator can be used by individual and business subscribers who use mobile handsets with many wireless carriers, including AllTel, Boost, Cingular, Qwest, T-Mobile, Verizon and Sprint/Nextel. According to a recent Webtorials survey, one in five companies uses 3G wireless to some degree today, and that number is expected to double over the next two years. When employees and their employers upgrade older 2G handsets to 3G smartphones and PDAs, choose devices with built-in GPS chipsets. Doing so will establish the infrastructure to support LBS applications, at little or no cost beyond the handsets you would be purchasing anyway to support wireless voice/data communication. Encourage LBS experimentation Many workers can already benefit from trial or ad hoc use of consumer LBS applications. For example, road warriors who find themselves in an unfamiliar city without directions should look to see whether their carrier offers a service like VZ Navigator for their mobile phone. A close-knit sales team might use a "finder" application to locate one another while working in the field. Experimentation is a good way to learn potential benefits and drawbacks -- in this case, without purchasing hardware or a long-term service subscription. Depending on your line of business, consider formally deploying an LBS application. The examples described in this tip should help you to start thinking about workforces that can benefit from IT-controlled LBS applications such as field force and mobile asset management. For additional examples, browse wireless carrier and LBS technology Web sites. One such resource is TeleNav's GPS Navigator case studies page. There, you can read about several businesses that have adopted LBS applications, ranging from professional services to transportation services, and learn how location-awareness has benefited those mobile workforces. 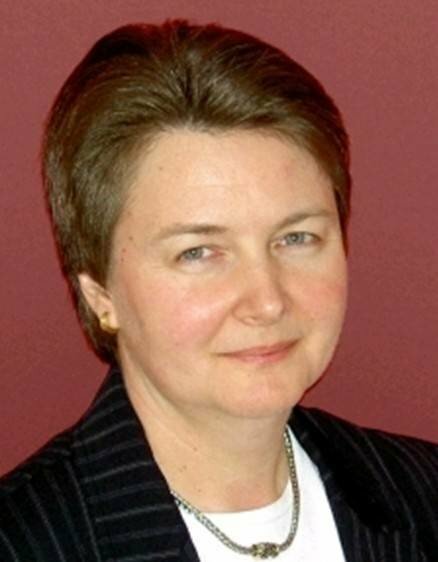 About the author: Lisa Phifer is vice president of Core Competence Inc., a consulting firm specializing in network security and management technology. Phifer has been involved in the design, implementation, and evaluation of data communications, internetworking, security, and network management products for nearly 20 years. She teaches about wireless LANs and virtual private networking at industry conferences and has written extensively about network infrastructure and security technologies for numerous publications. She is also a site expert to SearchMobileComputing.com and SearchNetworking.com.